In the world of marketing, communication ideas are talked about endlessly and revered for their magical ability to affect how consumers think, feel and behave towards brands. Despite this, they are poorly understood. How many types of communication idea are there? What are their characteristics and differences? How should you use them? And what makes a good one? Most people in the business simply cannot answer these questions. Rigorous Magic puts this right. It dispels the myths around communication ideas and creates a practical road map for advertisers and marketers to select which types are best for a brand to compete in a noisy and competitive market. Only through this process of cataloguing, evaluating and building a form of architecture can we truly begin to understand ideas. Our industry has too many and, at the same time, not enough ideas. Too many brand ideas, advertising ideas, execution ideas, activation ideas, promotional ideas and not enough bloody hell that s brilliant ideas. 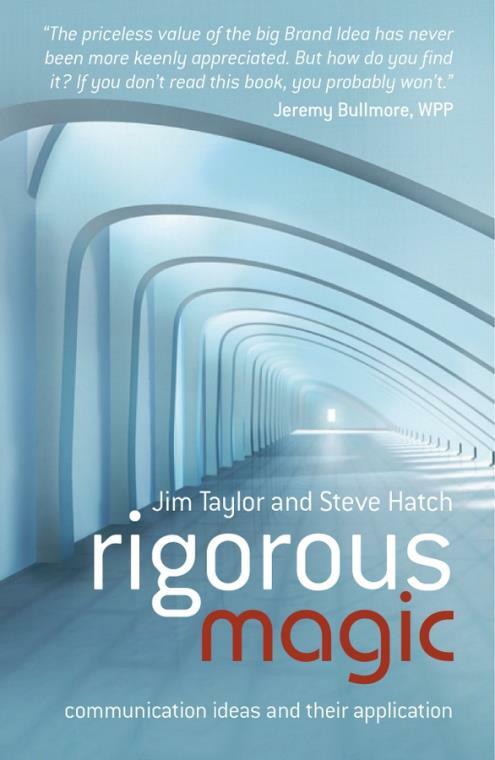 Written by expert practitioners, Rigorous Magic brings a new and universal language to the discussion. If you re looking for new thinking that will help you quickly identify and execute the right ideas, then this is the hands–on perspective you need. 1 THE HEART OF THE MATTER. 2 THE EVOLUTION OF MAGIC. 3 WITH AN EYE TO EXECUTION. 4 WITH AN EYE ON THE CONTEXTUAL. 5 WITH AN EYE TO STRATEGY. 6 BEYOND STRATEGIC VS EXECUTIONAL. 7 INVENTING A BRAND: THE KR BAR . 9 KNOWING YOUR HOCOS . 11 JUDGING BRAND IDEAS: TROUT OR TROLLEY? EPILOGUE THE ERA OF RIGOROUS MAGIC. APPENDIX SUMMARY: DEFINITIONS OF THE TYPES OF IDEAS.